Banners and other large format printed content have proved to be excellent marketing tools. Despite the age of internet marketing, such marketing materials still haven’t lost their appeal. One of the best things about printed banners and related sources is that they are quite versatile. You can have them printed in different designs, sizes, and can place them in your desired locations. Any successful business owner understands the impact visual marketing can have on his/her businesses. If you want to send a loud and clear message to boost up your sales, getting a large printed banner is a worthy step to take. Why Choose Our Large Format Banner Printing Services? No matter which promotional technique you use, it is important to ensure its visibility. Business enterprises should focus their attention on proper advertising methods. Good advertising improves your brand image and ensures the growth of your company. Perhaps this is the reason behind the growing popularity of large format printing. With a larger format, your customers will be able to remember your advertisement for long. 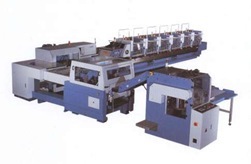 Large format printing allows you to produce life sized photos of your products. Such images are easily visible from a distance and thus attention-grabbing. These images can be displayed as hoardings on the top of buildings or along the roadsides. Large format printing portrays your brand in a good light. People start noticing your company. 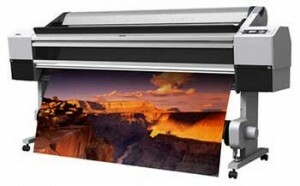 Large format printing allows you to create images with superior quality and detail. This explains why many businesses now seek the service of printing companies offering large offset printing. Using large format printing, you can create bright pictures with a glossy finish. 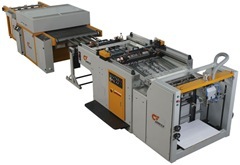 With rapidly changing technology, it is now easy to find high quality printing that supports large format printing. Thanks to these technologies, printing companies can deliver wall stickers almost immediately. Advertising does not permit delays. Your posters should be in front of your audience at the right time. Marketers can specify how their stickers should be printed or the printing team can come up with stylish design ideas. 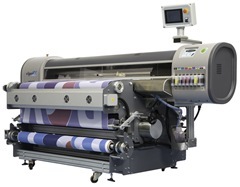 Large format printing uses high quality raw materials and fabric. Because of the fine quality of raw materials, the posters can bear all seasons. This way, the large attractive prints can keep on promoting your products for a long time. Such huge images can also be screen printed in different poster sizes. 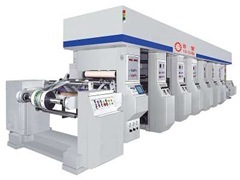 Many companies are interested in printing PVC banners, wall stickers, and vinyl stickers through these printing technologies. As we can see, there are several good reasons to use large format printing for promoting businesses. When large format printing is used cleverly, it adds a new dimension to your promotional campaigns. 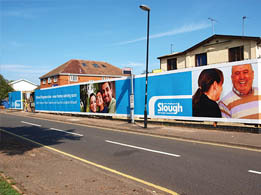 When your hoardings are erected in places where they are sure to grab attention, your products and business will get the visibility they need. Whether you are a beauty salon or a new food joint, reach us at 646-205-3037 for some attractive printing options. We can get you the visibility your brand deserves. You can rest assured that when you choose our services, your satisfaction is guaranteed. 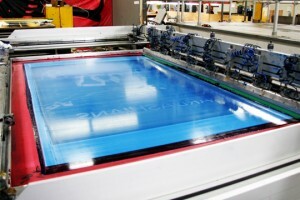 Large format printing still occupies an important place in business. 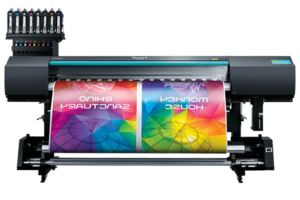 While many printed advertisements have been superseded by Internet advertisements, there is no substitute for what large format printing can provide for a business in certain situations. Having a commercial printing firm that can produce materials with in-house graphic design or your own designs that are of very high quality and that can be used to offer exactly the right corporate image is imperative to making certain that a business gets noticed in just the right way. There are many venues where color banner printing is a huge benefit for businesses. One of the most important places to make certain that you have a corporate presence that is visible without depending upon electronic equipment is in a trade show environment. At trade show booths, having the most attractive banner and other display elements sometimes means having the most customers stop by to take a look at what you have to offer. 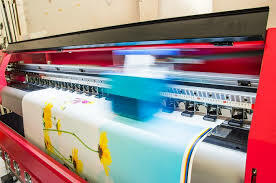 Large format printing for these situations needs to be done by a business that understands how to translate corporate branding efforts to a large format print. For businesses that have brick-and-mortar locations, large format printing is imperative to getting noticed by customers who walk by or drive by. An attractive display can easily persuade someone who is driving by to stop in and see what you have to offer. These materials do not have to be overly expensive to produce and, in some cases, adding large-format banners to the advertising budget of the particular promotion or sale is a great way to get more out of that event. Large-format banner printing is also great for community events. If you’re business is participating in something charitable or something having to do with the community and you want to make certain that you get noticed that acknowledge for that, having large-format graphics printed up that advertise your business’s presence is a great way to make certain that people remember that you were there and were an active participant. 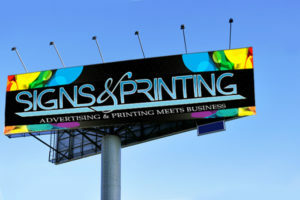 Large-format printing is actually one of the most economical ways to advertise for business. A high quality banner or poster can be used over and over again. For signage, materials printed on durable media can last for many years and keep providing great service over the long haul. 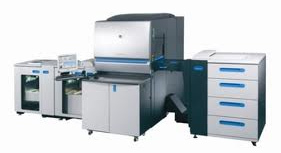 This makes large-format printing one of the most affordable services. Whether you need banner printing, color banner printing or other services, a commercial printing firm with experience in the field is a huge asset. Some of them will offer you in-house graphic design, which ensures that your logos and other business materials translate well to the larger format. If you’re considering having large-format printing done for your business, make certain that you hire a firm with experience. Commercial printing is a specialty field and it requires the right amount of experience and the right equipment to do it right. Banner printing can be a very economical way to get your business noticed and, in the right situation, you can make sure that you stand out above the crowd. Depending on the type of event that you are planning, you will have varying printing needs. For a wedding, for instance, you have to choose just how elaborate you want your invitations to be. A baby christening event doesn’t need to be as elaborate as a business event. For a convention event or a training session, you want to ensure that you are properly prepared and have all the promotional items that ensure a successful event and follow-up. Your attendees need to get all the required information to succeed at the event while you, at the same time, have the ability to promote your services and any upcoming events/training. Printing materials for events can make or break the occasion, especially a corporate function. Visual perception by the participants is a key component. If you use cheap, unprofessional materials to promote or present your information, the perception will be that the event will be poorly and unprofessionally presented. Your best choice for your printing needs, regardless of the event, is a professional printing company. Event dates are “Etched in Stone” so any materials that are delayed for any reason, can cause real headaches. At Automation Graphics, our 50 + years of local service and knowledge can assist you with difficult tasks, especially with timing. We are centrally located in Midtown near the Jacob Javitts Convention Center, Penn Station, and Times Square. Our clients all receive prompt courteous and knowledgeable customer service and solutions to all printing situations. With our access to state of the art equipment, each project is perfectly matched to your set of circumstances. Quick delivery, high end production, and less expensive pricing options, we‘ve got you covered. Deal directly with experienced professionals who know how to make things happen, even when your requirements are challenging. So when you need a company to turn to for all of your printing needs for your next event, turn to Automation Graphics, your local NYC neighbor with over 50 years experience and thousands of satisfied clients. You have an upcoming important event and you want everything to look just right. What you need is a company that can handle all your printing needs. Automation Graphics! You want the invitations to be classy and well-done and you want to have all the materials necessary to ensure that you can properly follow up with your attendees. During the event, besides the perfect venue and audio visual equipment, you’ll need to ask yourself what types of activities and sub-activities you’ll be including in order to ensure that you have all the printed materials needed. We can help you plan ahead for all your needs. In consultation with us, we can suggest what it takes for your event to run smoothly. Will I need seating/place cards and will I use tent cards or some other type of card? Will I use sign-in sheets? Do I need banners to display in the room? Do I need booklets printed so the participants have access to all the required information to benefit the most from the event? Will I be giving out door prizes in logo gift bags? Does the event include a silent auction, necessitating the use of auction cards? Will I need to distribute fliers prior to the event? Will I have coupons made to offer a discount to attendees if they are interested in participating in another hosted event? Will there be an information table with brochures containing information about other events? Will I be mailing thank-you cards after the occasion? Do I need tickets printed for a draw? Will I be posting promotional posters before the event? We can help you will all of this and more. Let us take responsibility for all your printing needs so you can concentrate on putting on a fabulous event.